Opportunity for the European region is a clear theme of the latest issue of RCI Ventures, with many developer contributors and RCI affiliates showcasing how they are unlocking potential in the luxury and new market sectors. We also look at how lifestyle aspirations are driving demand for leisure products – including how investment in sustainable tourism is becoming a powerful sales tool. We also hear how luxury hotel brand AMResorts is adjusting its product offering to cater for European customers as it looks to expand in the region, and how an affordable luxury lifestyle is shaping the strategy and products of the Karma Group and Falkensteiner Hotels and Residences. This issue also contains a case study on lifestyle products by Perry Newton of Azure Malta; an update on how collaboration between the RDO and AIPP is bringing timeshare into the mainstream property arena, why resorts should engage with the evolving Muslim travel market, and much more. The sharing economy, or collaborative consumption as it is known, continues to grow as a consumer market sector. Recent research suggests that 75 per cent of consumers believe they will increase their sharing of objects and spaces in the next five years. 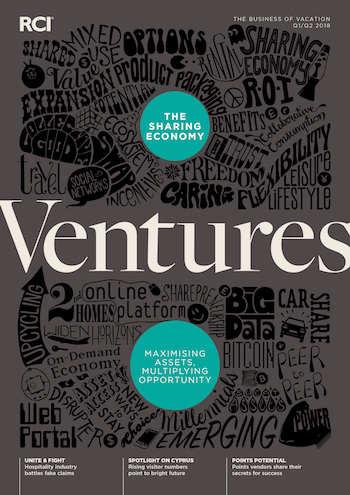 In the latest issue of RCI Ventures magazine we take another look at how those in the hospitality sector can maximise their assets by multiplying the opportunities to create and increase revenue streams by capitalising on this ever-popular consumer approach to product and service purchasing. We also turn the spotlight on the burgeoning Cyprus market as our holiday destination, show how a points programme can bring flexibility and greater value appeal to your product, and take a look at how the travel industry is tackling the escalation in holiday sickness insurance scams, and much more. Over the past few years, it has become clear that the way people consume and go on vacations, the way they plan them and how they like to own things, is changing. The timeshare industry is at an interesting point in our sharing economy, and addressing the current trends will be key for the future of the industry. 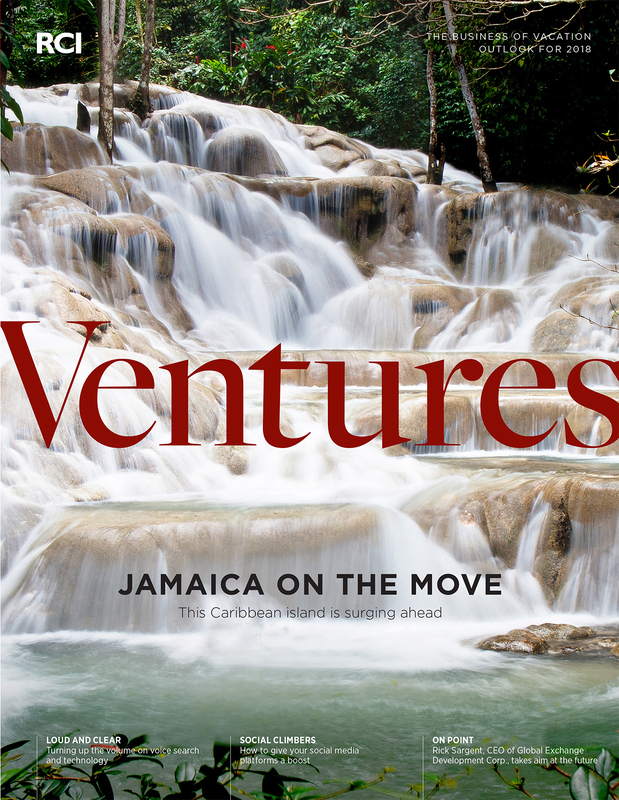 In this issue of RCI Ventures® magazine, we’ll explore these trends – including how innovative technology and amenities are changing the way resorts operate and market themselves – plus some of the reasons allowing 662 million vacation days to go unused annually in the United States, and more. 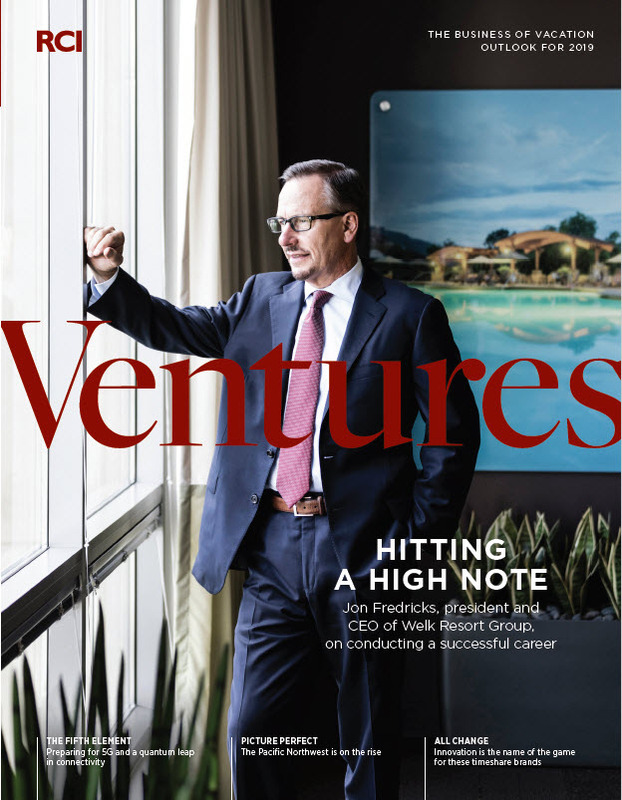 Earning – and maintaining – brand loyalty is one of the toughest challenges in business, and the latest issue of RCI Ventures looks at one company paying great attention to doing both. Pestana Vacation Club has re-engineered and repackaged its product to make the most of a diverse portfolio of property and assets, and enjoyed a major growth spurt as a result. Raising quality standards and offering value for money go a long way to achieving the same outcome, and we highlight a number of resorts in Spain, the UK and Latin America that are doing just that. There’s also an in-depth look at opportunities for the hospitality and shared-holiday ownership industry in China, and much more.